Hi everyone, my name is Kevin Boland. 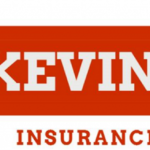 I’m a local farmers insurance agent based out of Novato, Marin County, California and welcome to my insurance website. Well keep in mind that you always want to go to your general contractor because they rebuild properties for a living that should be your number one source but I do want to share with you today a really smart rule of thumb. That is, you need about $400 per square foot of coverage state to make sure that you’re not under-insured as so many people were after the fires. Here’s a good example that I think will help. Let’s say you have a 2,000 square foot home with wood or stucco siding and let’s say you’ve got an asphalt shingle roof or a similar grade, you could have three to four bedrooms, an average style or upgraded kitchen, two bathrooms, hardwood flooring, you may even have a deck around your property and you’re on relatively flat land (not on the side of a hill which poses unique challenges to rebuild). So if that describes you or pretty much gets close to what your property is like, you want to have $400 a square foot so multiply 2,000 times $400 that means you need $800,000 to rebuild your property from the ground up for a total loss and that way you’re not under-insured. So please be smart, insure your homes and your rental properties properly and I hope this home insurance tip today will help you down the road.